Are you searching for the best house cleaning app? Here we are bringing one of the most engaging doll house cleaning game for girls. Prove yourself as best house cleaner of the cleaning for girls and best house organizer of the doll house cleaning game for girls. Clean up your sweet baby doll’s room without taking help from your mommy. Cute Doll’s house is very messy and dirty. This house needs an expert house cleaner who has expertise of house organizer. Not only house cleaning you also have to clean each room within the specific time. So it’s a great challenge for you to clean the each room and entire house by using your best time management skills. 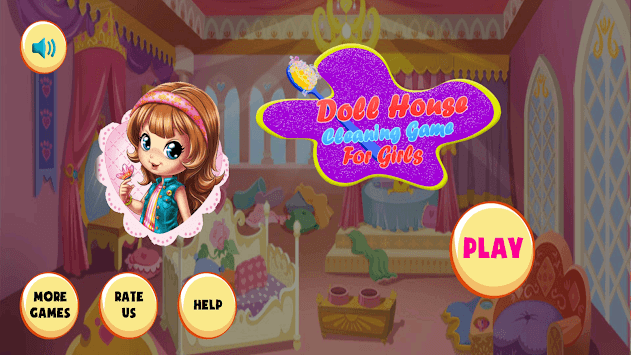 This doll house cleaning game for girls is having the exciting features of fast-paced room’s makeover games. Clean and decorate this doll home just like her dream house of doll. This doll house cleaning game for girls is the real cleaning game which needs thorough cleaning by using professional house cleaning skills. 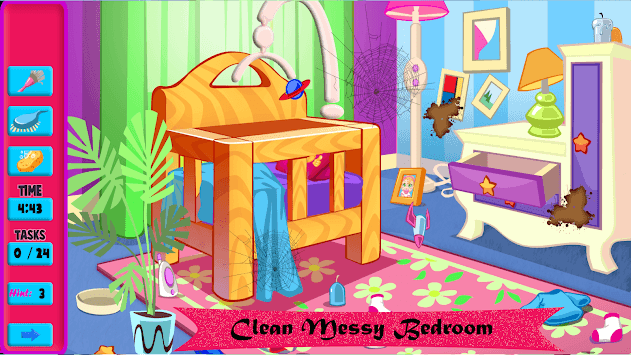 When you will start playing this cleaning game for girls you will enter in multi-color world where your main duty is to set the entire interior of baby house. You can have lot of fun with kitchen cleaning. Kitchen cleaning is just the fun oriented cleaning game having lot of enjoyment and cleanup activities. Use all cleaning tools like sponge, mob, and vacuum duster to clean entire mess of this doll house cleaning game for girls. We are giving you the great chance of feel like the one f the top house organizers. Rearrange all scattered things back to their place. Make your mommy feels proud with your housework in this best cleaning game for girls. So what are you waiting for? Download it now! The best house cleanup game and house cleaning game for girls with levels.